Thabsie has finally unlocked the visuals for her single Finally and to say we are impressed is an understatement. Shot on location in Ethiopia, the visuals for Finally are an exquisite mirror of Thabie’s message in the song. Finally officially dropped 2 months ago. The song is an upbeat declaration of a freedom from a toxic relationship and this is long overdue. There is a sense of relief at choosing herself above everything else for once. The music video for Finally is so refreshing and watches like an adventure. We see Thabsie in a series of shots in different locations and everything looks grand and dramatic. 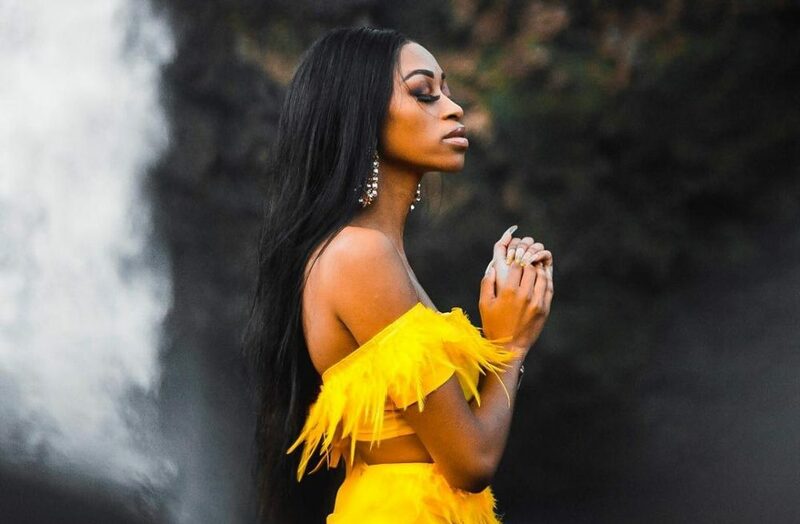 From picturesque mounts to flowing waterfalls, we get the sense that what Thabsie is singing about in the song is finally realized in the visuals. She looks free and finally able to breathe with an admirable level of clarity. The music video was expertly directed. We loved how just from watching the music video we could get a sense of what the song is about. We also love that it seems like this video is bigger than Thabsie because even though it is her song, the visuals often showed her magnificent surroundings as oppose to just her and her outfits. Spectacular job to the team.